#FlipMyFunnel, an account-based marketing and sales community hosted by Terminus, has announced the winners of the 2018 ABMies, a set of awards designed to honor the best and brightest teams and practitioners in the B2B marketplace. Each year, winners are selected for accomplishments ranging from best ABM programs to best pipeline acceleration campaigns. 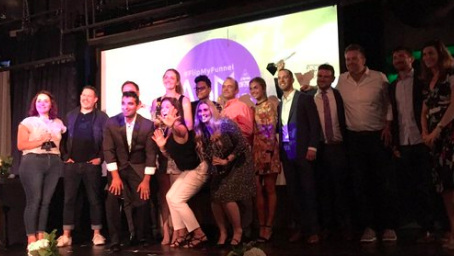 The winners were revealed in a special ceremony ahead of the annual #FlipMyFunnel Conference held on Aug. 8, 2018 in Boston.